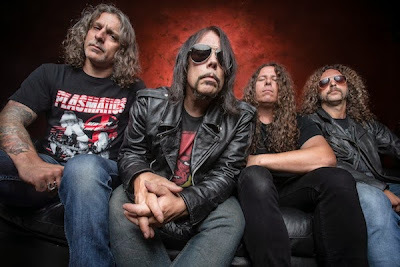 Monster Magnet have released a video for “Mindless Ones”, a new track from the band’s forthcoming album, “Last Patrol”, due October 15. Monster Magnet’s first album since 2010’s “Mastermind” is produced by MM frontman Dave Wyndorf and Phil Caivano. “Last Patrol” will be available as a Limited Edition CD, standard CD, 2LP and digital format. The band will launch the new album with an in-store performance at Vintage Vinyl in Fords, New Jersey on Monday, October 14.